You could be forgiven that when a small brewery based in regional Australia adds a lager to its lineup its, as much as anything, a means of trying to offer something locals unaccustomed to heavy hitting IPAs can relate to. But if you look at Renn's brewing education it takes in time at The Monk in Freo, whose midstrength pilsner is a former AIBA trophy winner, and Camden Town in London whose Hells pretty much reinvented lager for craft beer-loving Brits (with a respectful nod to Meantime). So, he knows a little about making a good lager and, like the one brewed at Camden, this takes the Munich Helles style as its inspiration. It's one of the greatest beer styles in the world: elegant, subtle and refined – but bloody hard to do well. 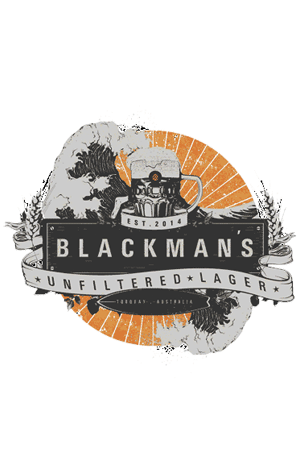 Thankfully, the Blackman's Lager, initially trialled as its Oktoberfest beer, is a cracker, mixing those soft, almost honey like malt flavours with delicate lemon hop aromas and a gentle, cleansing bitterness. Indeed, on The Crafty Pint's first visit after the Lager was launched, we went straight back to it following a tasting paddle, eschewing the bigger offerings and wallowing in the delights of simplicity done well.